Dare you cross the line into the no-mans-land of Decaying’s corpse-strewn battlefield? If you’re a fan of Hail Of Bullets, Asphyx, early-Pestilence and Bolt Thrower you certainly will! In fact, such is the devastating power of these Finnish warlords, you’ll be leaping out of the trenches, teeth-clenched and weapon’s raised, ready for BATTLE! 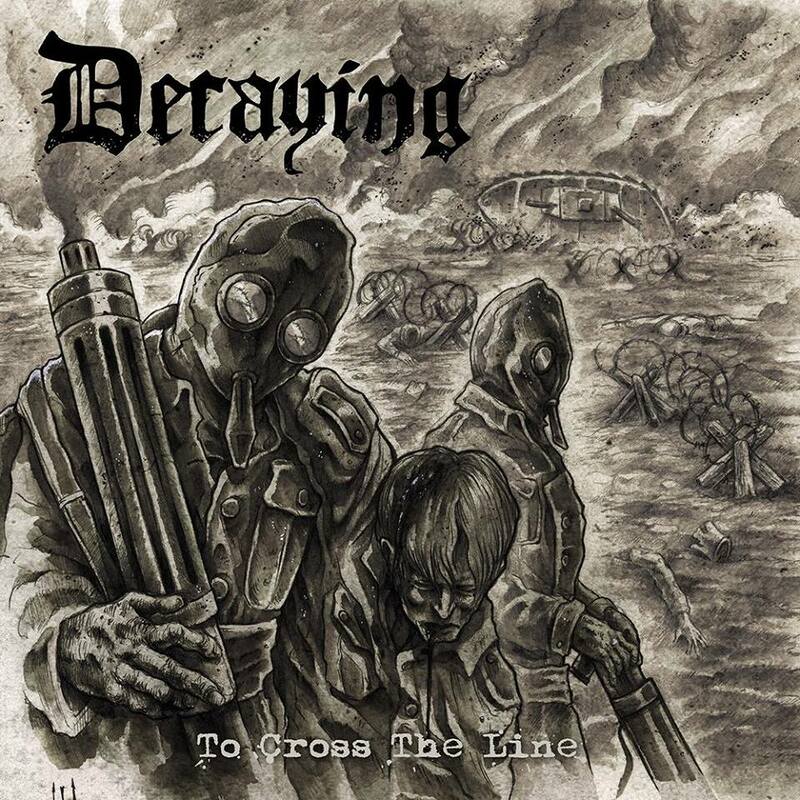 To Cross The Line is the sound of epic death metal, addicted to the sounds of war (and groove-drenched death metal) and dripping with the blood, sweat and eviscerated guts of those torn apart by bullets, bayonets and relentless bombing. Of course, this kind of death metal is nothing new but we’ll be damned if Decaying don’t do it better than 99% of the bands out there. With the vocals of Matias Nastolin proving to be a homage to Martin van Drunen’s (Asphyx, ex-Hail Of Bullets, ex-Pestilence) unique delivery, it’s Hail Of Bullets that are the most obvious comparison. But, considering HoB have now retreated from the front line, it’s left to Decaying to pick up the slack and keep marching on; destroying all in their wake in the process! They seem up for the challenge too, as To Cross The Line is a veritable bombardment of killer death metal tunes, featuring a fantastic and fascinating array of classic death grooves and colossal doom riffs.